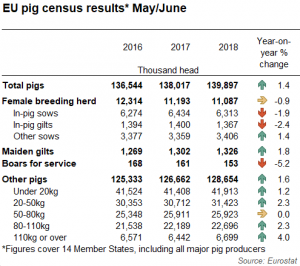 The number of breeding sows declined by less than 1%, to 11.1 million head. 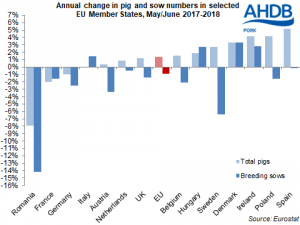 This is, perhaps not, surprising considering prices trending lower year-on-year. 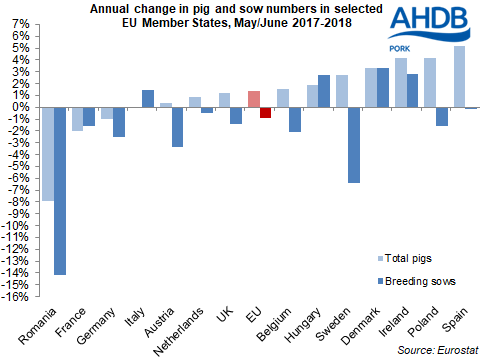 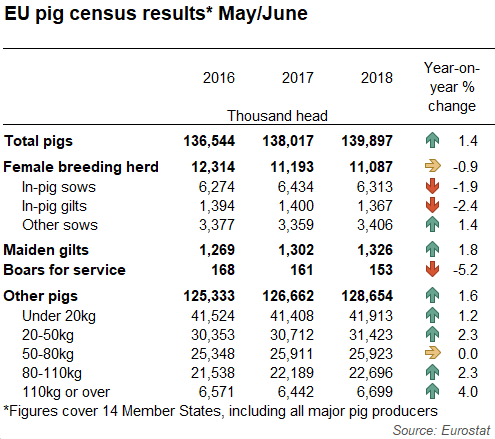 Also, assuming sow productivity has continued to increase, fewer sows would be required to produce the same number of piglets.